When I open the folder of images I have from the trip I took to the Netherlands in summer 2010, I am always reminded (as the pictures come first) that before I visited NL, I first went to London. A quick 36 hour trip. 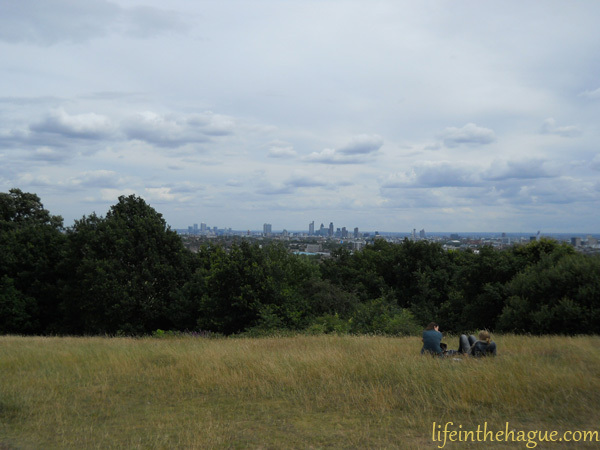 One of the places my friend and I visited was Primrose Hill, which overlooks the city. With breathtaking views, it is surprisingly steep and sprawling. Unfortunately I have one memory of this place that comes back to me when I look at these photos. As I mentioned previously, the hill is sprawling. There is a path down, but it is very long, though not steep at that section. Well, as kids are inclined to do… a young kid (maybe 6-8 years) raced past us on his bike, letting gravity pull him down. 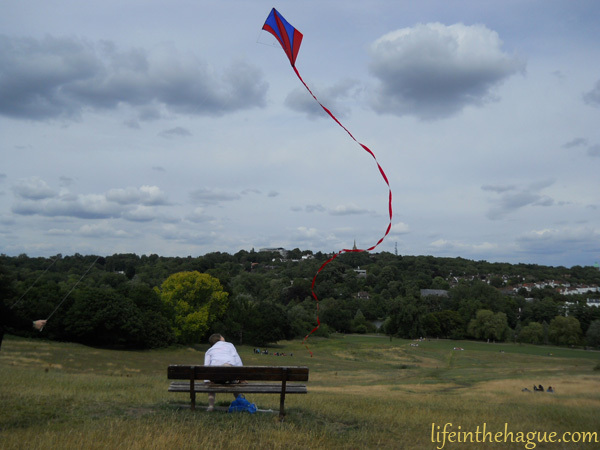 I was watching him idly while chatting, and a long way down and off in the distance, his bike hit an obstacle of some sort and he was thrown violently to the side into the grass. Though after the shock wore off you could hear him crying, and see him moving. What made it painful was a roughly 10 seconds of wait as everyone wondered what to do, as people made their way to him. But suddenly, a woman raced past us, screaming, and we realized it was his mother. But he was so far ahead – so very far ahead – that it took a good minute for her to even reach him. But by the time we got close, the drama was subsiding, and we ended up taking a different path that led us away before we passed him. Some time later, we ended up passing the little boy and his mother again elsewhere on the grounds. He was protecting a very obviously bloodied nose, but seemed otherwise okay. I am sure it was one of those “kids are tough and surprisingly durable” moments, but it was agonizing to watch in real time. But! It is but a memory now.